Company receives Best In Show for Penfolds' Global Travel Retail Gifting Range, and in the Drinks Presentation segment from UK magazine. CHICAGO—InnerWorkings, Inc., a premier global marketing execution firm, continues to receive industry recognition for its innovation and outstanding work in marketing execution for brands worldwide. UK-based Packaging News honored InnerWorkings with three prestigious awards, including Best in Show – Super Premium for the Penfolds‘ Global Travel Retail Gifting Range (see image above). 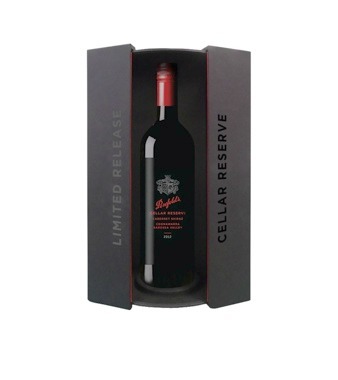 The Penfolds’ range also received the top Drinks Presentation – Super Premium award. InnerWorkings’ 2015 Harrods Christmas Hamper Range took home the Seasonal Gift Pack award. Drawing entries from multiple countries in Europe and North America, the 2016 Luxury Packaging Awards were revealed in London with hundreds of the industry’s top designers, manufacturers and enthusiasts in attendance. The elite international panel of judges selected winners based on great design and packaging innovation in five specific areas: quality and innovation, functionality, shelf stand-out, adding value to the brand, and luxury feel. These three latest awards from Packaging News join InnerWorkings’ impressive roster of recent awards including several from Point of Purchase Advertising International (POPAI) and PromaxBDA. InnerWorkings, Inc. is a leading global marketing execution firm serving Fortune 1000 brands across a wide range of industries. As a comprehensive outsourced enterprise solution, the company leverages proprietary technology, an extensive supplier network and deep domain expertise to streamline the production of branded materials and retail experiences across geographies and formats. InnerWorkings is headquartered in Chicago, IL and employs more than 1,500 individuals to support global clients in the execution of multi-faceted brand campaigns in every major market around the world. Among the many industries InnerWorkings serves are: retail, financial services, hospitality, consumer packaged goods, not-for-profits, healthcare, food & beverage, broadcasting & cable, and transportation. For more information visit: www.inwk.com.